Do Couples Really Reconcile and Remarry after Divorce? An article published by The New York Times on March 3, 2016 highlighted a “Hollywood” couple who reconciled and remarried after divorce, and begged the question: do couples really try to start over again after divorce? While sometimes news stories, movies, and other media outlets highlight these real-life or fictional stories, in reality, very few couples actually do reconcile after divorce. In fact, according to experts, very few of them want to continue to even have each other in their lives, and those that do often only do in order to raise their children cooperatively after splitting. Of the few that do reconcile, they are typically only able to do so if they were previously married at a very young age and after spending many years separated. However, that doesn’t mean that individuals do not miss their ex-spouse after the divorce has been finalized, especially after long periods of separation, when some of the anger and bitterness may have died down. And sometimes, after considerable time has passed, they can find that they have changed; as one expert put it, it can be difficult to change during “criticism in a contentious marriage,” but people can sometimes change “through loss.” Specifically, it is possible to reconnect to parts of yourself that were blocked during the adversarial side of your marriage, and approach things with a new maturity and open-mindedness. Even those couples the article highlighted–who did reconcile–emphatically point out that their period of divorce and separation was a necessary one that involved growth and change–two things that likely would not have happened had they stayed married. In particular, couples who marry young can sometimes find that a decade has passed and they are stuck in an unhappy marriage, providing their children with an example that they are not proud of. Florida does not technically have separation, however, it does allow for what is called a limited divorce, or a divorce that is temporary and does not allow for remarriage, much like “separation” in other states. Similar to obtaining a permanent divorce, there are statutory requirements that must be met which pertain to residency and grounds for a limited divorce, and although two individuals who participate in a limited divorce cannot remarry during that time, the court can still address alimony, child support, asset distribution, and other areas related to permanent divorce during a limited one. 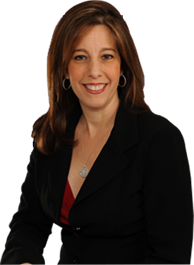 If you need assistance with a family law issue—whether that concerns child custody, asset distribution, marriage and estate planning, etc.—contact the law office of Sandra Bonfiglio, P.A. We have experience in all areas of family law, and are here to advise you of your options and provide compassionate legal representation. Our office serves clients in Fort Lauderdale, Boca Raton, and surrounding areas.